너희들 여섯 명의 꼬마단체에다 이름을 지어 붙이는 것이 좋지 않겠는가라고 제안하였더니, 이미 자기들도 그러한 이름 같은 것을 구상해두고 있는데 아직 결정을 내리지 못하였다는 것이다. 구상 중인 이름으로는 '독수리'와 '맹호부대'의 둘이 있다는 대답이다. 독수리나 맹호부대보다 훨씬 그럴 듯한 이름 하나를 지어주겠는가를 나한테 물어왔다. 나는 쾌히 이를 수락하였다. I suggested that they name their group and was told that they had already thought of it but had not decided on a name yet. 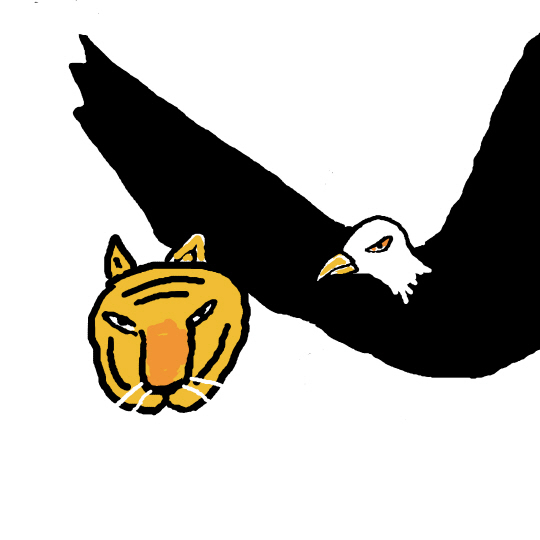 They added that the two candidates were "The Eagle Corps" and "The Brave Tiger Corps." They asked then whether I could choose a much better name for the group, which I willingly accepted.